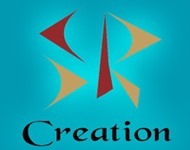 SR Creation is considered a premium fabrication in Mumbai. We have been instrumental in fabrication of exhibition stalls, wedding decor, interior and events. It has been a huge learning experience which has sharpened us to perform a little better, each time. For twelve successful years SR Creation has proved to be a pioneer in the fabrication industry especially for exhibitions, weddding decor and events.